Although it might just be passing through, this is a first for this mountain fastness. Last summer, my spouse (Jackie) staffed a fire tower on the edge of the Eagle Cap Wilderness, which covers much of the mountain range. 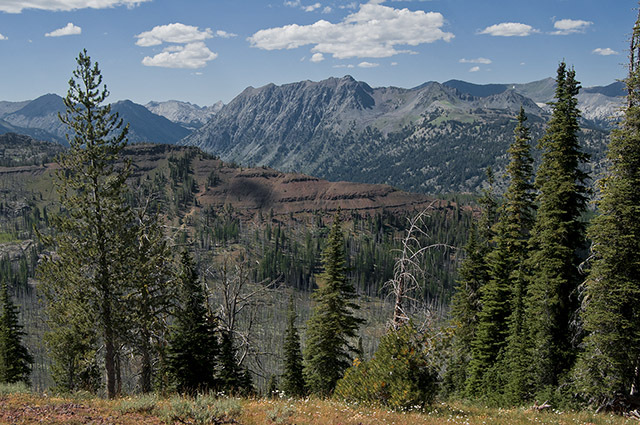 The creation of the vast Eagle Cap Wilderness, plus a number of subsequent additions, was a great conservation victory. Story. Wolverine tracks found for first time in Wallowa County. Researchers seek to answer if animal was loner or part of pack. East Oregonian. Regarding this headline . . . wolverine don’t form packs. It was wonderful to backpack, fish, and climb in the Wind River Mountains in the day when they did not overlook a miasma of gas field air pollution. In Pinedale, Wyo., Residents Adjust to Air Pollution. By Kirk Johnson. New York Times. Citizens can send their comments on regulation of the drilling to the Bridger-Teton National Forest, supervisor Jacqueline Buchanan, P.O. Box 1888, Jackson, WY 83001. Comments can be emailed to comments-intermtn-bridger-teton-big-piney@fs.fed.us with the subject line “Eagle Prospect and Noble Basin MDP DEIS.” The plan is available at http://www.fs.fed.us/r4/btnf/projects/. Comments are due Mar. 10.